Tambo enters the South Indian handset market with a series of smartphones and feature phones under Rs 7,000. The TA-3 sports a full view design and a 4.95- inch display. Tambo Mobile has recently announced its foray into Karnataka by launching its flagship TA-3 alongside 7 feature phones. The flagship smartphone is categorised as ‘Superphone’ and is available in three colours – Jet Black, Champagne, and Metallic Blue. The phone comes with a price tag of Rs 4,999 along with a free protective cover. The phones will be available across distributors in Karnataka. Tambo Mobile will also be offering a plethora of best in class feature phone range under its Powerphones category. The price range of Tambo’s Powerphones and Superphones will range from Rs 600 to Rs 7,000. The TA-3 comes with a 5MP rear camera with dual LED flash and a 5MP front-facing camera with flash. The camera comes with face beauty, burst mode, panorama mode, and stickers. 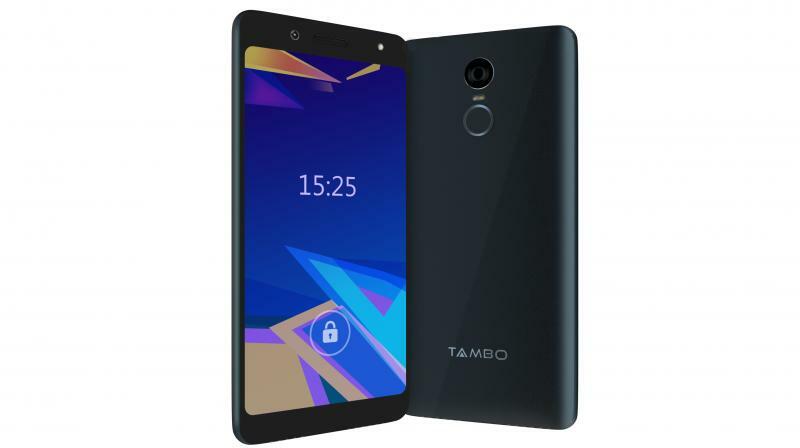 Tambo’s Powerphones have features like dedicated music keys, time talker, 60-day battery standby, 22 language support among others making it useful for a diverse segment of people. The Superphones and Powerphones will be available at retail outlets across Karnataka.